Huber in Sunny Orlando for Ingredient Marketplace! It’s great to be back in Orlando this week for Ingredient Marketplace, which is set for April 28-29 at the Orlando World Center Marriott. 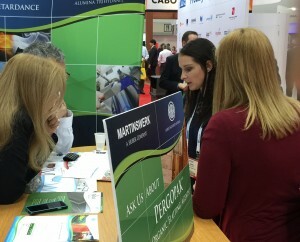 We’ll be in booth L50 discussing our exclusive line-up of HuberCal® pure and natural calcium carbonate products. Available in both granulations and powders, all HuberCal grades have a calcium assay of greater than 99 percent and offer the formulator excellent purity and demonstrated low-lead and low-arsenic impurities. Manufactured in Quincy, Illinois (U.S.), HuberCal products are used for food fortification, antacids and other various pharmaceutical applications. Along with our outstanding products we offer unparalleled technical and customer service support. Stop by and talk with us about HuberCal, we’re looking forward to seeing you in Orlando! 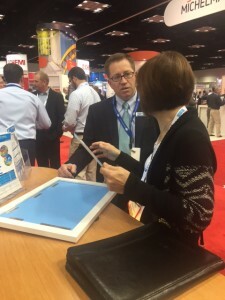 Thanks for a Successful 2016 American Coatings Show! 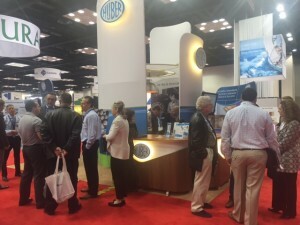 Booth #855 was extremely busy last week in Indianapolis at the 2016 American Coatings Show and we sincerely thank you for taking time out of your busy schedules to stop by and spend time with us to discuss our wide array of high-performing specialty ingredients. It was wonderful seeing so many current customers and we’re so grateful for the new friends and prospective customers we met at the event! We’ll be in touch soon to discuss more about our broad line-up of Precipitated Silicas, Halogen-Free Flame Retardants and Smoke Suppressants, Ground Calcium Carbonate and Barium Sulfate Extenders and Pergopak® Organic Flatting Agents for use in paints and coatings. A fabulous time in Indy! We’re already looking forward to the 2018 event! Again, thanks to all and we look forward to talking with you again soon. Take the Checkered Flag with Huber Engineered Materials!